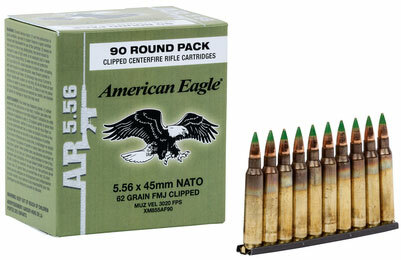 The American Eagle 5.56 NATO rounds come stripper clipped for easy magazine loading. They come 90 rounds to a box, 5 boxes to a case. This is the famous XM855 green tip penetrator round used by our nation's military.